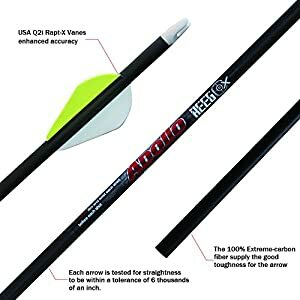 Sweepstakes: REEGOX Archery Carbon Arrows for Compound and Recurve Bow… | FreebieOrBust Freebies! Are you feeling lucky? Join our sweepstakes community for the chance to win what your heart desires. REEGOX Archery Carbon Arrows for Compound and Recurve Bow .006 with 2-inch USA Q2i Vanes(Pack of 6)(sp 300). Odds of winning: 1:1000. A total of 3 prizes are available. Giveaway hosted by Amazon and REEGOX. Register today for instant access and the chance to win! Enter as many sweepstakes as you like, and the chances are that lady luck will smile down on you with good fortune.